In this December 2011 episode of “Elevator Pitch,” host Alan Meckler talks with Kogeto founder and CEO Jeff Glasse about the Dot, his company’s panoramic video iPhone attachment, which was built with funding from Kickstarter. 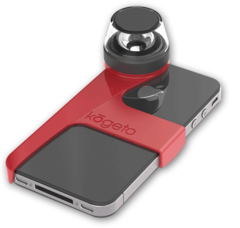 KOGETO brings DOT, 360º video to iPhone , featured in Apple store, raised a $100K on Kickstarter. The Dot is a revolutionary attachment for the iPhone that, together with Kogeto’s free Looker app, allows users to capture immersive panoramic video and share it with friends via Facebook, Twitter, email to a friend, and host on the proprietary kogeto.com. The founder and CEO Jeff Glasse, a stand-up comedian, did a good pitch start with the nutshell intro of DOT, 360º video to iPhone attachment. Capturing and sharing the 360º panoramic video dotspots is quite easy. Dot is not an expensive attachment, ranging from $39-$49, depending on the colour and the model of the iPhone (4, 4S, or 5). The use of Dot is limitless in all situations, and perhaps would be a real estate’s agent’s dream for getting up full panoramic videos of their property listings, great way to give virtual tours, or capture crowds and performers at a concert, to give just a few examples. Once you’ve recorded some dotspots, you can share them directly to Twitter, Facebook, and Kogeto’s own website, making it fun and easy to share your videos with friends. Looker also has some basic video trimming and flipping options, for polishing your video a bit before sharing. 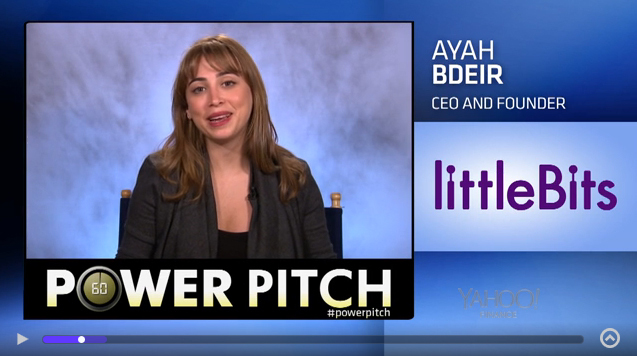 The pitch emphasizes a variety of strengths of the product and its support logistics (site, attachments, software app, additions, web store, panoramic video eco-system) is well designed and promising, so based on the press coverage (http://www.kogeto.com/press_page.php) and market presence, the project is in demand on the high-tech market and have a future. The CEO , Jeff Glasse appear credible, capable and confident to seriously succeed in this venture. 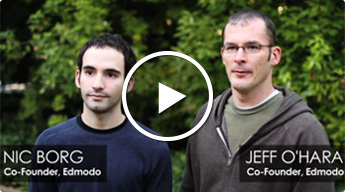 Their success on Kickstarter tells that public (market) recognized the value of the product. 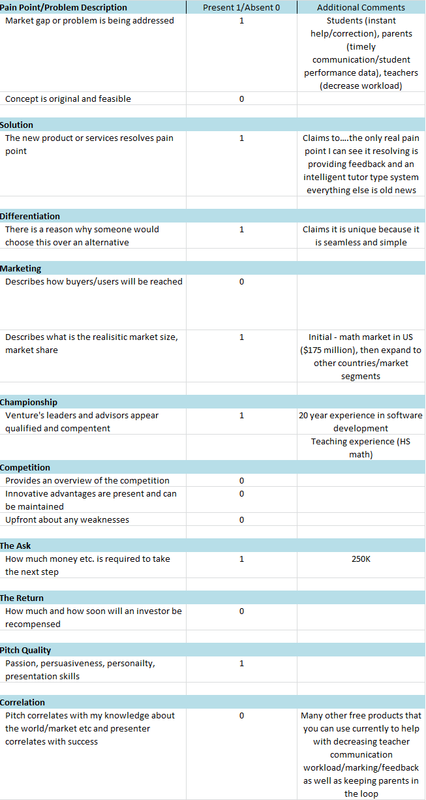 Venture Concept is original and feasible. They already done their homework (over $1.5M on Kickstarter)! The “DOT”story is quite credible and compelling. Marketability is significant and realistic opportunity space and market size is huge, for now limited to iPhones, and it brings huge market share and revenue selling DOT and related products. Competitive edge is theirs, no big competitors! 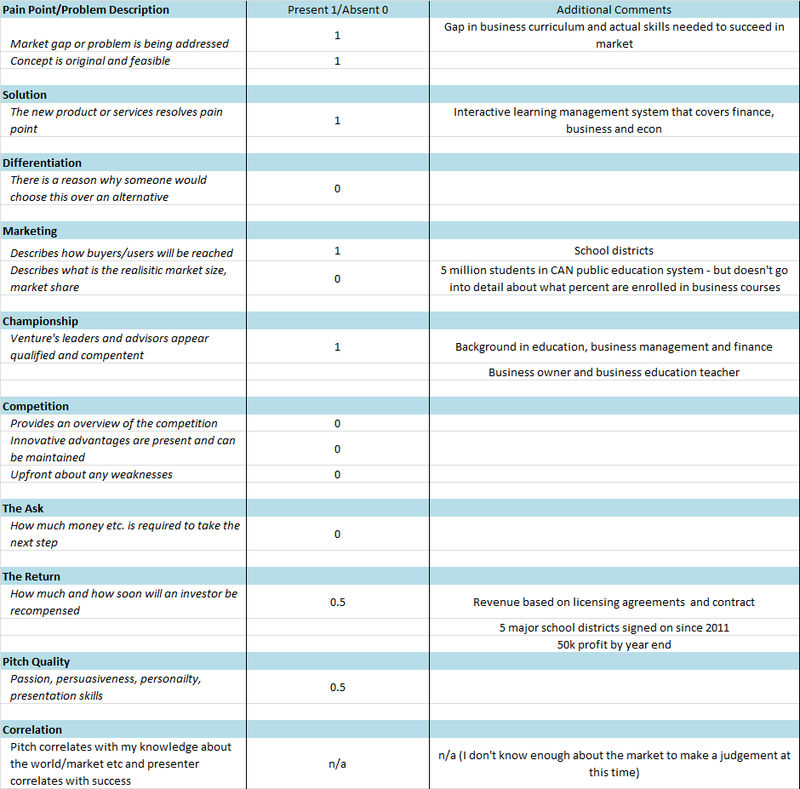 Market Readiness: the proposed path to success is quite realistic, they’re half-way there. Exit Strategy: the funder and CEO really knows what success is and has a clear destination. Investor Affinity: The risk is quite minimal for this proposition, they share success of iPhones on the market? I like the strategy of this CEO and his plan, so adding more than money would ensure even bigger success, e.g. covering the success? Marketing: website based, through Apple store, Kickstarter, advertised in retail stores, etc. The Ask: Already raised $100K from Kickstarter, $3M required for the next step; they’re already half-way through. The Return: Not communicated, though imho, this is successful venture, and the investors will be well recompensed. YES, I would definitely invest in this venture!